Poets Julian Talamantez Brolaski and E. Tracy Grinnell will perform in the New Writing Series on Thursday, March 28, 2013. The event, which will be hosted and introduced by Carla Billitteri of the UMaine Poetry & Poetics faculty, starts at 4:30pm in the the Soderberg Center Auditorium (Jenness Hall) on the flagship campus of the University of Maine system in Orono. The reading is free and open to the community and will be followed by a Q&A. Julian Talamantez Brolaski is the author of Advice for Lovers (City Lights 2012), gowanus atropolis (Ugly Duckling Presse 2011) and co-editor of NO GENDER: Reflections on the Life & Work of kari edwards (Litmus Press / Belladonna Books 2009). Julian lives in Brooklyn where xe is an editor at Litmus Press and plays country music with Juan & the Pines. New work can be found on jacket2. E. Tracy Grinnell is the author of Helen: A Fugue (Belladonna Elder Series #1, 2008), Some Clear Souvenir (O Books, 2006), and Music or Forgetting (O Books, 2001). New and recent work is collected in the manuscripts Hell Figures, portrait of a lesser subject, and All the Rage, and in the limited edition chapbooks Leukadia (Trafficker Press, 2008) and Humoresque (Blood Pudding/Dusie #3, 2008), among others. Grinnell’s poetry has been translated into French, Serbian, and Portuguese. She has taught creative writing at Pratt Institute, Brown University, and in the Summer Writing Program at Naropa University. She lives in Brooklyn, New York, and is the founding editor and director of Litmus Press. 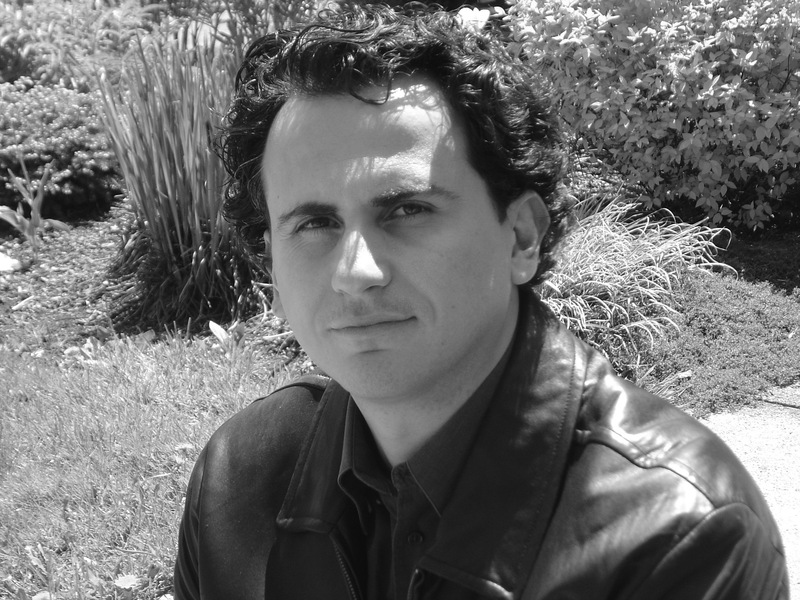 Fiction writer Dimitri Anastasopoulos (NWS F’06) returns to the New Writing Series for a reading on Thursday, March 21, 2013. The event, which will be hosted and introduced by David Kress of the UMaine Creative Writing Faculty, starts at 4:30pm in the the Soderberg Center Auditorium (Jenness Hall) on the flagship campus of the University of Maine system in Orono. The reading is free and open to the community and will be followed by a Q&A. Anastasopoulos is the author of A Larger Sense of Harvey and Farm for Mutes, both published by Mammoth Books. His fiction has appeared in journals such as Black Warrior Review, Notre Dame Review and Willow Springs; his essays in Callaloo and the Journal of Narrative Theory. He lives in Buffalo, New York and teaches fiction writing and contemporary literature at the University at Buffalo, SUNY.